This is the most common type of hearing loss and is the effect of damage to the nerves within the inner ear or the inner ear itself. Sensorineural hearing loss happens when the really tiny hair cells within your inner ear (the hair cells that enable you to discern sound) are damaged. Sensorineural hearing loss is often caused by frequent exposure to very loud noise for extended periods of time. 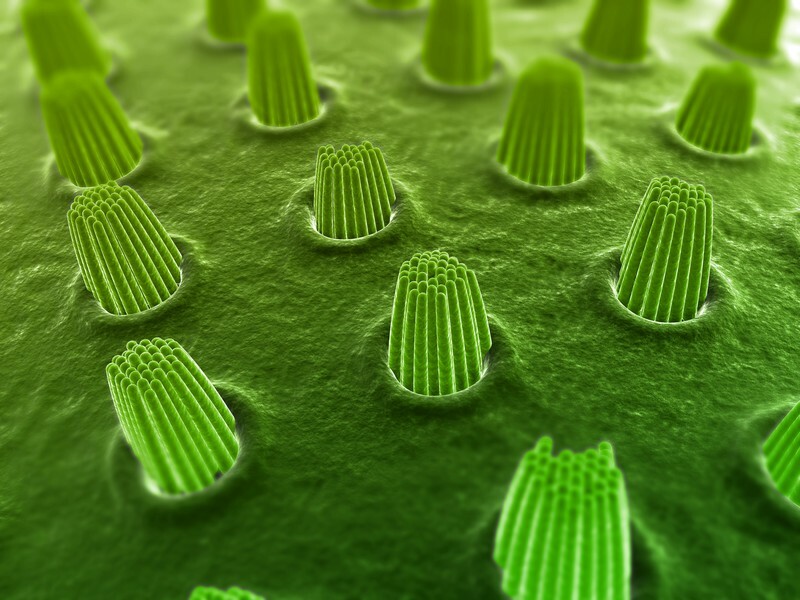 When the hairs in your inner ear become damaged, they can no longer send the proper message to the brain. This results in distorted or muffled sound. Other causes include: age, illnesses such as diabetes and viruses, some medications and chemotherapy. In most every case, sensorineural hearing loss can be solved by applying the proper hearing-aid technology. A simple, pain-free hearing exam with us will determine what the best solution is for you. 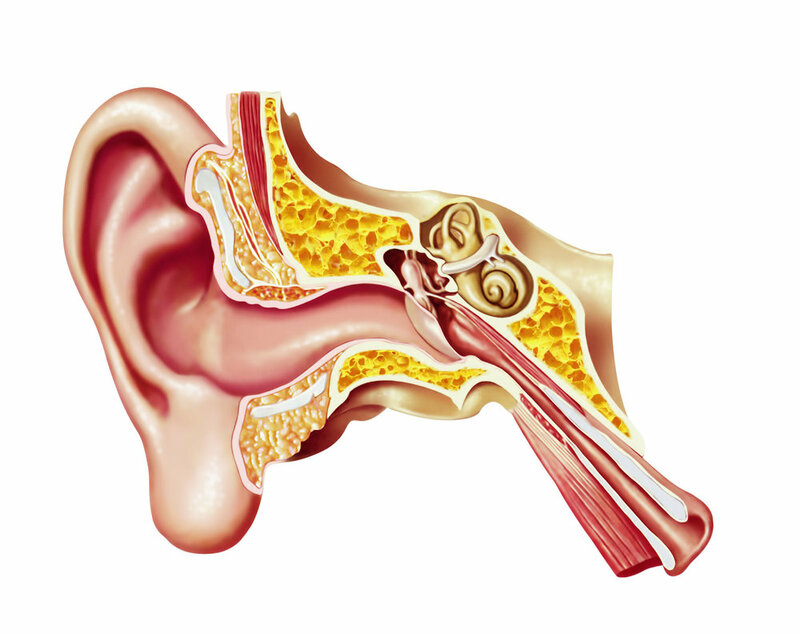 Conductive hearing loss occurs from problems with the ear canal, eardrum, or middle ear. The causes for conductive hearing loss can be simple. It may just be buildup of earwax that is obstructing your ear canal. Or it could be as serious as a punctured eardrum, an acoustic neuroma (tumor in or around the ear), or fluid in the middle ear. Sometimes it’s as simple as removing the wax. Other times surgery to repair the eardrum, remove the tumor, or drain the fluid is necessary. Surgery is not always the best solution, and sometimes it is. We can fill you in on all your options during your free exam. As you might have guessed, mixed hearing loss is simply a combination of conductive and sensorineural hearing loss. This type of hearing loss could stem from multiple factors. For example, if you’re exposed to an extremely loud noise without hearing protection (we’re talking something like an explosion) then it’s possible that this occurrence could damage those tiny hair cells while simultaneously rupturing your eardrum. In the case of mixed hearing loss, the treatments become more specialized and circumstantial. If surgery is needed to repair the eardrum, then it may only fix half the problem. Hearing aids can then be used to solve the sensorineural side of the equation. So either way, solutions are readily available for those with mixed loss. Central hearing loss is a far-less common type of hearing loss. In fact, in the hundreds of patients we’ve helped, only a small handful (less than 5) have had Central Loss. It comes as a result of problems within a person’s central auditory system. This type of hearing loss has nothing to do with the ear, but instead, involves a problem with the brain’s central auditory system. In other words, the ears of someone with this type of hearing loss deliver sound to their brain just fine. But unfortunately, their brain doesn’t process it. Equally unfortunate is the fact that there’s not really any treatment for this type of loss. Central hearing loss can be caused by any number of factors. It can be hereditary, induced by a severe virus or illness, or it can be a result of severe head trauma. Unfortunately, there really isn’t any solution for this type of hearing loss right now. What’s that ringing in my ears? Have you ever found yourself saying this? Perhaps it was after listening to your music too loud or using power tools for an extended amount of time. Either way, what you’ve experienced is tinnitus. Now, if you’re fortunate, this ringing, whistling, or humming sound will go away after a while, but there are those who aren’t so fortunate. In fact, there may be more chronic cases of tinnitus than you think. Frequent or infrequent exposure to loud noises, head or neck trauma, medication, and illnesses can all play a part in tinnitus. Also, Presbycusis (a type of age-related hearing loss) and Otosclerosis (a stiffening of the structural components in the middle ear) can be factors. We finally have a real solution if you struggle with Tonal Tinnitus. Signia (Siemens) has released Notch Therapy that can over time reduce or eliminate the ringing. It's truly break-through technology and if you suffer from the constant ringing, give us a call to discuss your treatment options.